Dimaio Strike Stops Tie From Going To The Wire! 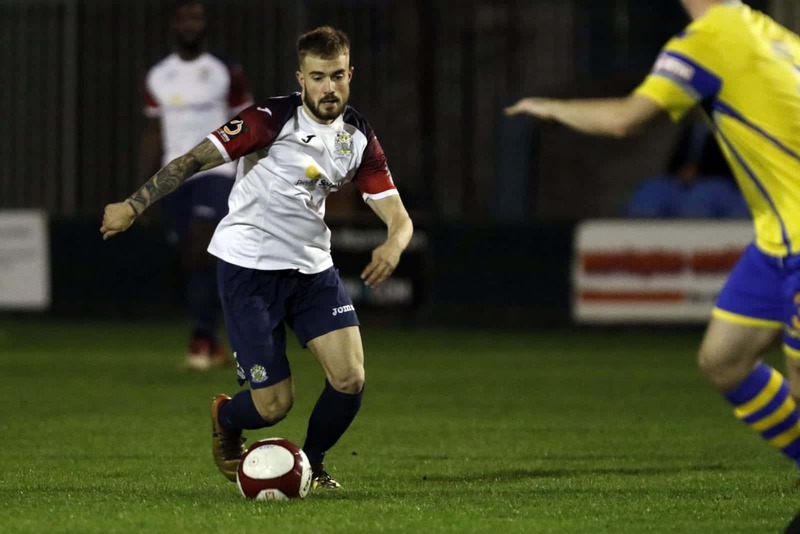 The Hatters began their Cheshire Senior Cup campaign successfully, after edging past Northern Premier League Warrington Town by the odd goal in three at Cantilever Park – with Connor Dimaio’s winner having arrived midway through the second half to settle the tie in normal time. 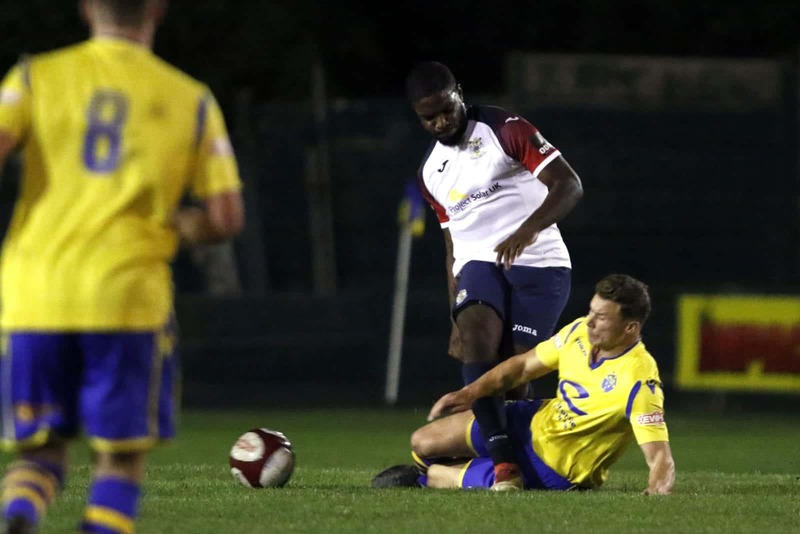 It was a creditable performance by a predominantly young County side that featured no fewer than seven Academy members or graduates currently holding dual registrations with Stockport Town and plying their regular trade in the North West Counties League First Division – three tiers below that of the hosting ‘Wire’. While most first-team regulars were rested for the short trip, Ian Ormson – who was made captain for the night – Jordan Downing, Darren Stephenson and Dimaio all travelled from the senior squad to start, as part of a 4-2-3-1 formation that included, in Downing’s central defensive partner Festus Arthur, one player making his competitive County debut. 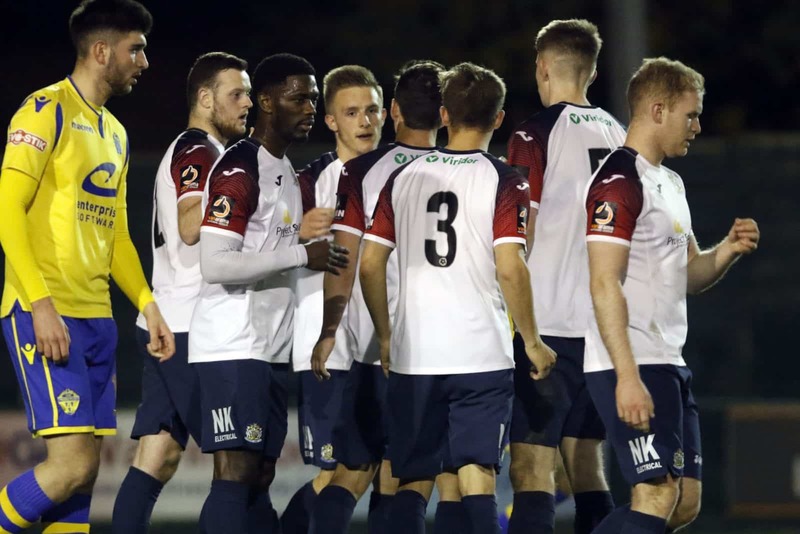 Wearing their white and navy change-strip for the second successive away-game, the Hatters were placed under pressure on the right flank from the outset. 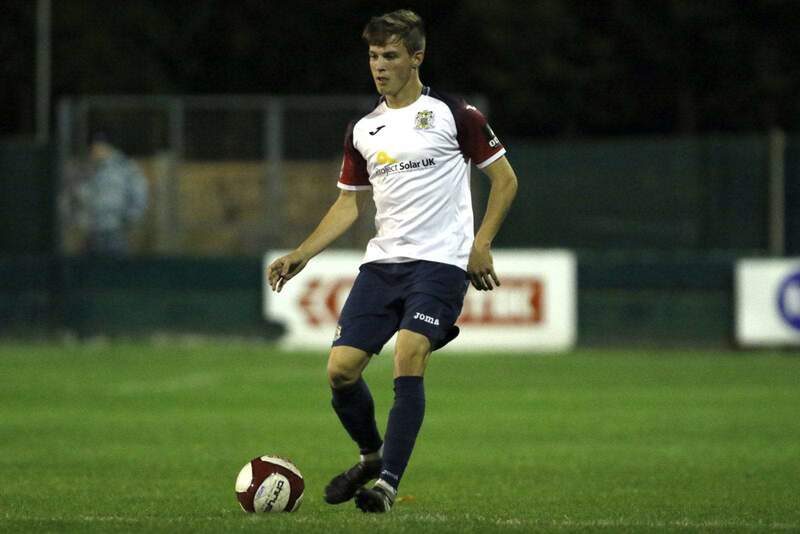 And although Downing cleared upfield a low cross from Dylan Vassallo in the first minute, the same home midfielder’s second, more lofted, delivery three minutes later found former County striker Josh Amis who headed home, unmarked, from close range. With 11 minutes played, Ormson stood tall to deny another ex-Hatter – blocking a shot from Russell Benjamin, who had briefly been at EP, without making an appearance, in 2014. County, duly jolted into action, began to settle – and a neat one-two on the left between Dimaio and Stephenson saw the latter unleash a shot that curled high and wide of the right post. And after 18 minutes, the Hatters not only earned their first corner of the evening but also got themselves back on level terms. Will Holt’s delivery from the right was met by Arthur, who made his first match one to remember all the more by converting with a powerful header. 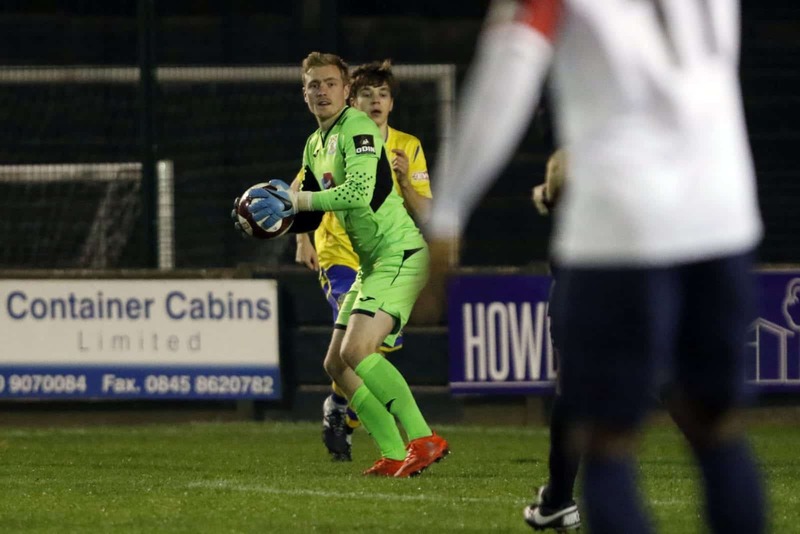 With County in the ascendancy, Stephenson drew home goalkeeper Joseph Williams out to the left before firing an angled shot beyond the far upright, Josh Robinson blazed shy of the opposite post, and Szymon Czubik had a well-struck effort on the turn blocked by defender Mark Roberts. HALF-TIME: Warrington 1 (Amis, 4), County 1 (Arthur, 18). 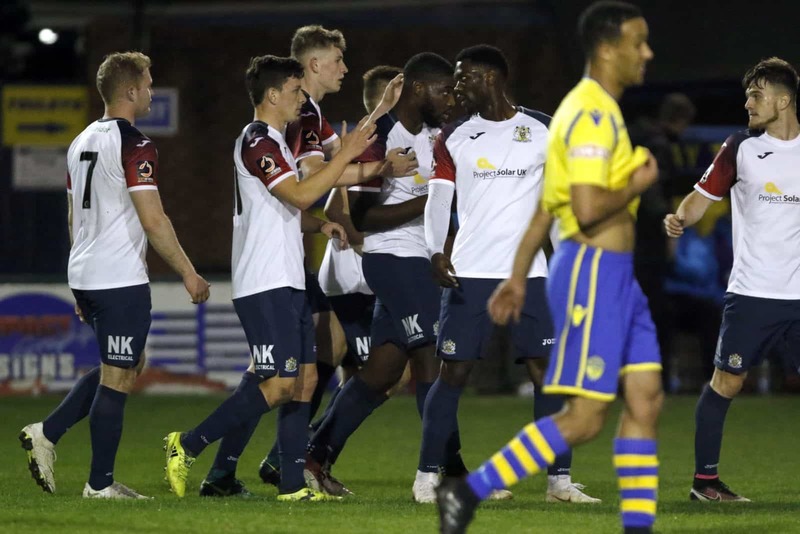 The hosts dominated the corner-count, if not overall possession, after the break – forcing half a dozen corners within 20 minutes of the re-start, but creating little by way of attempts, other than a Roberts shot that cleared the County crossbar by some distance. 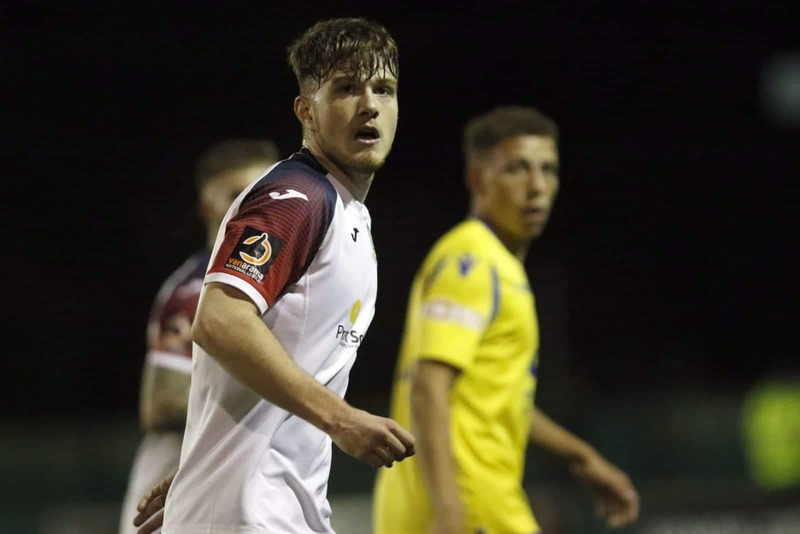 Worse still for them, their ranks were reduced with 23 minutes left on the clock – when Dom Reid limped off and, with all three substitutes already in play, could not be replaced. 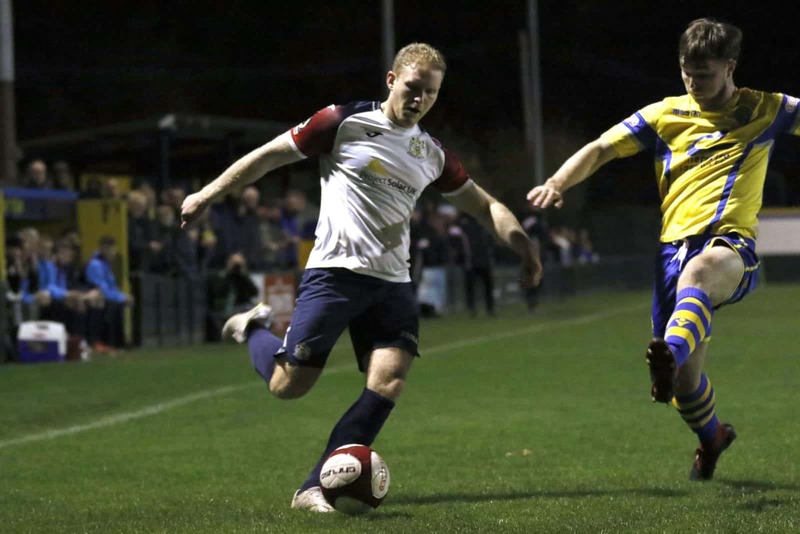 Immediately following this, and Warrington’s sixth corner, the Hatters proceeded up the other end and went ahead – courtesy of a sublime curling shot by Dimaio from just inside the box. 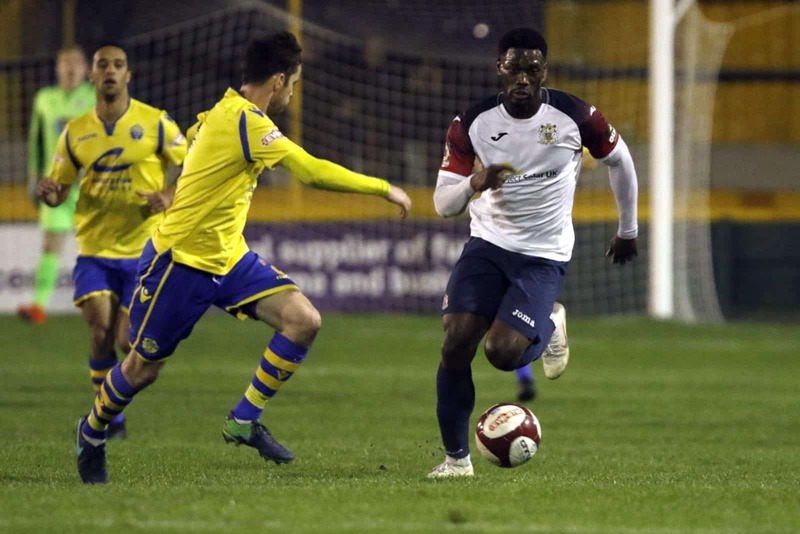 Stephenson blasted over after cutting in on the left, as County attempted to make the tie doubly safe – and lively substitute Sajjad Elhassan produced two efforts from the opposite flank that Williams respectively blocked and caught. But the Hatters’ safe passage to the next round of the Cheshire Football Association’s tournament was ultimately assured, as thoughts now turn to progressing four days hence, rather further afield down Somerset way, in a certain knockout competition under the auspices of the national FA. FULL-TIME: Warrington 1 (Amis, 4), County 2 (Arthur, 18; Dimaio, 68). Team: Ormson (Capt. 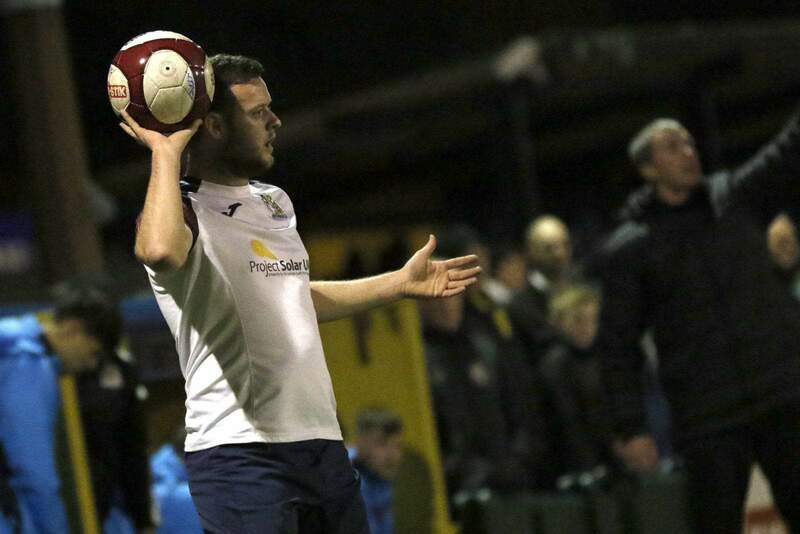 ), Whitty, Robinson, Peach, Downing, Arthur, Etches (Elhassan, 82), Holt (Jackson, 76), Czubik, Dimaio (Morrissey, 82), Stephenson.